Recent news that half a billion Yahoo accounts have been compromised has prompted me to again tell friends about a great website for exploring the effect of security breaches on your online accounts. The site is called: haveibeenpwned and I encourage you to explore it. And right there, in that short paragraph, you see how important it is to measure the problems you are trying to solve, whether it's "how big is that gap in the planking that's letting water into the boat?" 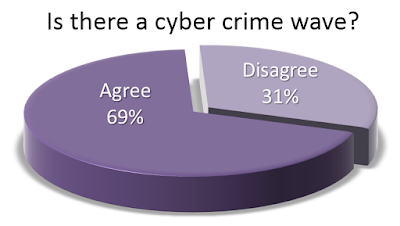 or "to how big is that gap between the number of people we need to fight cybercrime and the current supply?" That latter question has been preoccupying me a lot this year and it's a tough one to answer, but that doesn't mean we shouldn't try. After all, this gap is causing serious problems for many organizations. According to a CSIS/Intel-McAfee survey more than 70% of enterprises had suffered losses that they attributed to lack of skilled security professionals.